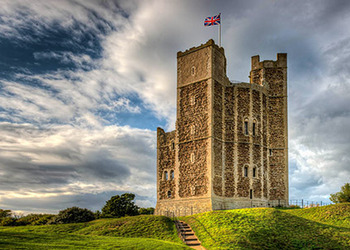 Visit the picture-postcard Suffolk Heritage Coastal Region, close to Aldeburgh and Southwold. 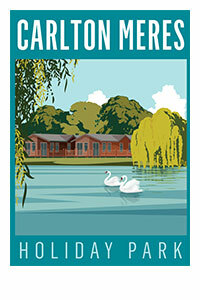 Interested in visiting Carlton Meres Holiday Park to find out more? For a beautiful break in Suffolk pack up your tent - or book one of our unique Camping Pods - and head to Carlton Meres Holiday Park. The pitches at Carlton Meres are grouped in camping and touring areas, all with their own shower and toilet block, waste disposal points and fresh water points. There's a wealth of facilities on park, including - brand new for 2019 - an indoor swimming pool and upgraded new-look clubhouse; it's your ideal base for exploring the Suffolk area. Use the park as a perfect base to visit the beaches of Aldeburgh, Southwold or Walberswick or further afield (within 20 miles) Felixstowe and Lowestoft - each contain their own unique treasures to discover. Carlton Meres also has a special appeal to those who love to fish, there are carp up to 40 lbs, and regular fishing tournaments* so pack that rod and reel. For full information regarding fishing please contact the park directly using the "Contact Us" button at the top right of this page. As well as our fantastic location in Suffolk, you can also enjoy our club house and diner serving snacks and beverages throughout the day whilst enjoying the latest sporting events on Sky & BT Sports. 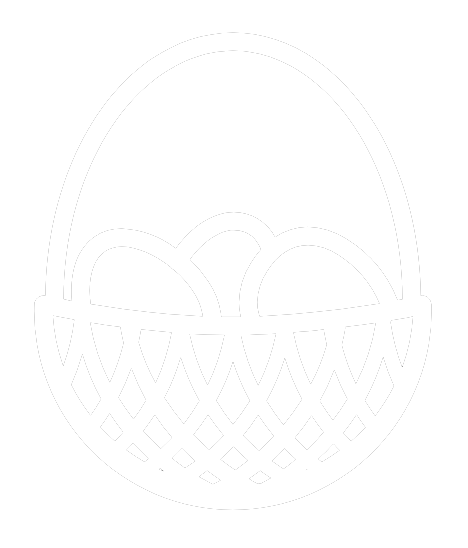 Enjoy pony rides, pat-a-pet, barrel train rides, as well as mini tractors, go-karts, and diggers! Farm attraction with fun for all the family with over 200 animals, fantastic rides and amusements. Explore the former royal fortress built in the 12th century by Henry II for coastal defences. Otley Hall has ten acres of formal and informal gardens containing a canal, mount and woodland. A beautiful landscaped site accommodating over 80 owls and other birds of prey in naturalistic species specific aviaries. Displaying almost 70 aircraft, both military and civilian, from the pioneer years to the present day. Enjoy steam train rides in genuine Great Eastern Railway 4-wheel coaches hauled by one of their resident steam locomotives. Exciting park developments have taken place for the 2019 holiday season with a brand new indoor swimming pool now open. With an outdoor pool already in place, an additional indoor pool at Carlton Meres means that you and the family can enjoy a swim or splash anytime of the year, whatever the weather. The complex will include incorporated changing rooms and additional guest facilities. Revamped Entertainment Venue now open. Exciting park upgrades have taken place for the 2019 season with a full refurbishment and upgrade of the existing Clubhouse. The upgrades mean an increased capacity with a new pub-style restaurant area, enhanced entertainment space and extra leisure features for guests and owners to enjoy. † For the 2019 holiday season the outdoor pool is open from 16th April - 15th September. Please note that during busier periods the park may operate a booking system for pool use.